STUDENT Michelle Leong, 18, left junior college (JC) after seven months as she felt it was not suitable for her. "It was like secondary school, but with a heavier workload and even more pressure. It was suffocating at some points," she said. 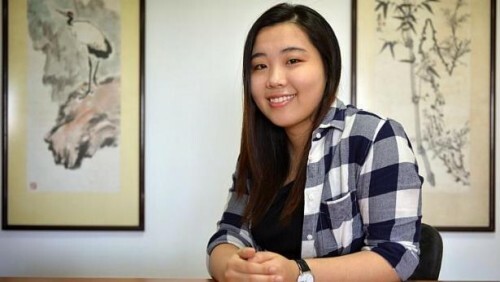 Instead of a polytechnic course, however, she decided on a communication degree offered by the University at Buffalo (UB) at the Singapore Institute of Management (SIM). The UB degree courses are among a rare few here that accept students with O levels. Usually, O-level holders who enrol in private schools do diploma courses. Michelle, who is in the first year of her UB course, is one of a group of students who opt for a private institution after the O levels. They cite reasons such as the shorter duration and variety of courses for choosing private schools over government ones. Despite more students entering polytechnics and a steady annual intake at junior colleges, major private institutions told The Straits Times they have maintained their enrolment of O-level holders. This is possibly as more are pursuing post-secondary education: Of the Primary 1 cohort in 2003, 95 per cent did so, up from about 90 per cent for the 1994 cohort. A SIM spokesman said the intake of O-level holders has remained steady at about 8 per cent of total enrolment in UB degree courses. A total of 590 students entered the courses in 2013. SIM's diploma courses have also seen a stable intake of over 900 O-level holders a year. The situation is similar at other private institutions. PSB Academy in Tiong Bahru said O-level student enrolment for its diploma courses has "remained steady, average exceeding 1,000 students yearly, for the past three years". At Management Development Institute of Singapore, about 300 O-level holders entered its diploma courses each year in the last three years. Kaplan Singapore student Faridah Ahmad, 17, said she chose a counselling diploma as it offered O-level holders a two-month foundation course. "I took a gap year after my O levels, so I was worried about not being able to cope in the polys," said Faridah, who took time off to seek treatment for lymphoma. "But the foundation course helps to refresh my memory." Student Benjamin Cheung, 17, who had 16 points for six subjects at the O levels, said a UB business degree at SIM was a clear choice. "My end goal is to get a business degree, but the JC life is not for me," he said. "If I had gone to a poly, that would be another three years before I enter university." Michelle, who will graduate from the UB programme in two years, is excited to get a headstart, but also worries about what potential bosses may think. "I'm worried that employers will think I'm too young and be hesitant to hire me."